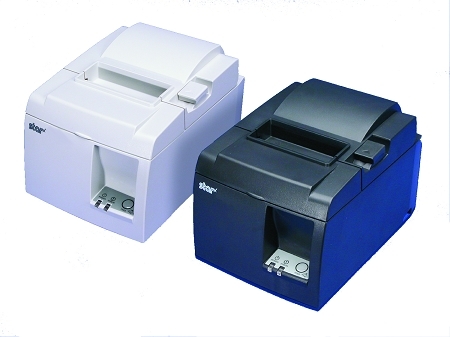 The TSP143iiLAN receipt printer is a fast, efficient, and reliable receipt printer that connects directly to a wireless router via Cat-5 Ethernet cable. The lightning fast print speeds (150 mm per second) will exceed your expectations. 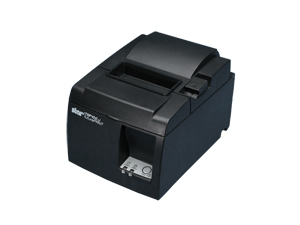 With a built-in auto-cutter, the receipt is printed and is severed automatically; no need to worry about ripped tickets. 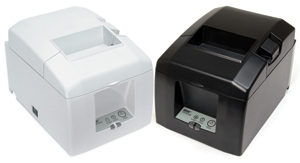 The TSP143iiLAN printer is also ecologically-friendly with a minimal impact on the environment. 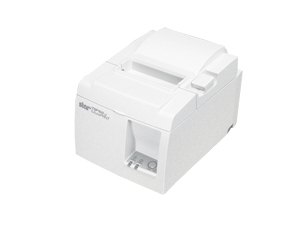 Perhaps the best green feature of the TSP143iiLAN is the very low-powered standby mode which the printer automatically reverts to when not in use. The TSP143iiLAN works perfectly with the Square POS system. Connect the printer to your wireless router and hook up a cash drawer for the auto-open feature on the cash drawer to function flawlessly. Setting up this printer is a breeze. All necessary setup accessories are included in the box. The printer can handle 80mm sized paper and loading paper is as simple as ‘drop, close and print’. Other accessories you can use with this printer include a splash-proof cover, vertical stand and extended warranties, such as the Swap-A-Star or Extend-A-Star warranty. 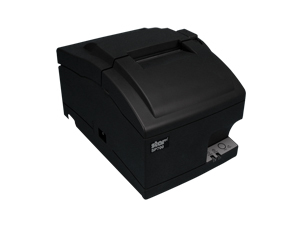 Make sure to pick up the Star Micronics Interface Cable to connect the TSP143iiLAN to a cash drawer.